Nobel laureate Donna Strickland is now a full professor at the University of Waterloo. Strickland won the Nobel Prize in Physics earlier this month. 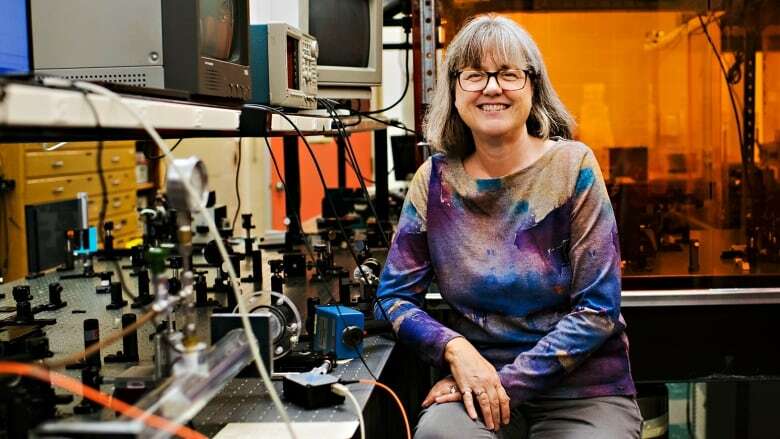 Nobel laureate Donna Strickland is now a full professor at the University of Waterloo. Strickland had been an associate professor of physics and astronomy at the university. In an interview Tuesday on BBC's Sounds with host Phil WIlliams, the Guelph, Ont., native said she is now a full professor. "I did apply and I have now been made full professor. I'm happy about that," Strickland said in the interview, saying she learned the news last week. Strickland won the Nobel Prize in Physics earlier this month for the development of "chirped pulse amplification," a technique that produces very short, very intense bursts of laser light. She did the work while she was a graduate student in the lab of Gérard Mourou at the University of Rochester in the 1980s. During a press conference after the win, reporters asked why Strickland had never reached full professor status. She said she had never applied. UW's president Feridun Hamdullahpur joked at the time if she wanted to apply, her CV would need only be one line long, listing only this latest accomplishment. Strickland will join the two scientists with whom she won the prize, Arthur Ashkin and Gérard Mourou, in Stockholm, Sweden in December. During her time there, Strickland will give a public lecture about her research.